Efrem “Skip” Zimbalist III founded Active Interest Media (AIM) just eight years ago, and despite facing some of the most challenging years in publishing during what is essentially still the company’s infancy, it has grown to become one of the world’s largest niche media companies. With a portfolio of 34 magazines-including Yoga Journal (its largest publication with 360,000 circulation) and a healthy marine group, which features Yachts International and Soundings, among others-the company reaches more than 12 million readers worldwide. It also produces major events, including the world’s largest boat show (the Fort Lauderdale International Boat Show), smaller events, successful websites that feature unique content as well as e-commerce (including books and third-party product sales), and new mobile apps that it is “selectively developing,” according to Zimbalist, AIM’s chairman and CEO. Zimbalist explains the strategy behind this growth is to have “a suite of editorial offerings for enthusiasts that serve their differing needs. We wanted to have magazines, books, websites, shows and ancillary businesses and services,” he says. (One ancillary business Zimbalist explains in this in-depth interview is the US Rider service, which is essentially a towing and roadside assistance service for people with horse trailers.) The theory behind offering varied content products and services for various enthusiast groups involves envisioning “how all [the products] work together, and how it gives us a competitive advantage,” he says. “The events bring the magazines to life. … When they want to buy things, they go to our websites. … And it all creates a bond between readers and advertisers,” he notes. Here, Zimbalist shares his insights behind the company’s largest growth areas, it’s fastest-growing revenue segments, its rapidly expanding ancillary product segments, its biggest challenges and more. 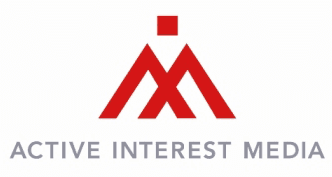 Noelle Skodzinski: What is Active Interest Media’s fastest-growing revenue segment? Skip Zimbalist: The Healthy Living Group. Yoga in particular is growing all over the world; it’s growing in print, it’s growing in our events, online, it’s growing in social media like a weed. … If you look at it by type, we had show revenue that’s growing at about 6 percent, our magazine revenue, which is subscription and advertising, is growing at about 6 percent, and then Internet and others growing about 17 percent-across all groups. Skodzinski: What is the company’s largest revenue segment? Zimbalist: The Marine Group. We have five major boat shows in Florida, and it includes four marine magazines: Yachts International, Soundings, Sounding Trade Only and Passage Maker, and then they also do some smaller shows, called Trawler Fests, which are specifically limited to trawlers. Skodzinski: What percentage of your revenue currently is driven by print? Skodzinski: Where do you see that figure in two years? Five years? Zimbalist: I’d say it’s going to be in the high 40s [percentage]. Skodzinski: What percentage of your revenue is driven by newsstand sales, and how have your newsstand sales fared during the past two years? Zimbalist: The newsstand has been tough. … We get about 8 percent of our revenue from [single-copy sales, not the advertising associated with those sales], down from about 9 percent last year. I think it’s probably going to be on a slow decline. We don’t see anything really turning that around quickly, and I think iPad and electronic sales are those things that are replacing that. Skodzinski: What about subscription revenue? Zimbalist: Subscription revenue is about 12 percent of our revenue. It was 13 percent last year. And I think that will stay the same. I think there may be a shift in mix between print and electronic subscriptions, but we see subscription revenues [being] fairly steady-in some units it’s growing, in some it’s declining a little bit, but overall, it’s pretty steady. Skodzinski: Many in the industry believe that niche publications have an advantage over mass-market publications, especially when it comes to subscription revenue and newsstand sales. Have you seen this in the niche markets that you serve? Zimbalist: I think that there’s been a rapid migration out of print to digital by general interest magazines, especially those dealing in time-sensitive information like sports and news. But I wouldn’t necessarily say that niche magazines alone are doing well in print. The areas that are doing well are those that serve their markets best in print, such as celebrity, fashion and long-form journalism. Let me describe why I think enthusiast niche magazines do well. As an example, let’s take boating, or horseback riding or yoga, things that people do for fun. It’s part of their personality, who they are; it’s not something they have to know; it’s something they want to know, so they continue to get information on that subject matter in a variety of ways, with magazines being one of them. Avid participants have a variety of needs. For one, they want to vicariously enjoy that activity when they can’t be doing it themselves. … They want their dose of boating while they are riding the train in the middle of winter. That kind of vicarious, intensive enjoyment lends itself to magazines (print or digital) better than to websites, which are kind of self-directed nonlinear inquiries. A magazine is more absorbing and immersive, and lends itself to beautiful photography and longer-form articles, and to the expert editor who deeply understands the reader and is able to satisfy and surprise them with each issue. So that’s the primary reason I think niche and enthusiast magazines have done well. Skodzinski: What percent of your total revenue is driven by digital (Web, e-newsletters, etc.)? Skodzinski: You also run a number of major events, including the world’s largest boat show. What percentage of your revenue is driven by events? Zimbalist: Events are 30 percent. Skodzinski: Have events been a growth area for you? Zimbalist: Yes they have. They went down along with everything else in 2008 and 2009, and grew a little bit in 2010, and they’re growing this year. Skodzinski: You also publish books and videos for your markets. What percent of revenue do these products comprise? Is this a growth area for you? Zimbalist: I don’t have the exact percent, but it’s in the 2 to 3 percent range. It’s pretty flat. Books have been tough with all the changes in the distribution channels- two things: Borders going under, which was not a good thing for us, and the continued growth of Amazon – which is good for volume, but not for margins. We’re now publishing e-books, but so far they haven’t replaced the volume that we’ve lost in print, but they’re starting to. Skodzinski: Does your book content include repurposed content from your publications? How are they directly tied to your brands? Zimbalist: Most of it is specifically written. We publish a lot of books in the martial arts area-some backlist books. We publish most of the Bruce Lee books under our imprint, which continue to do well, and a lot of books on the individual martial arts techniques. We also publish cookbooks from Vegetarian Times. So it varies depending on the type, but those are probably the main sources of books-the martial arts and the Healthy Living Group. Skodzinski: Are you currently doing any virtual events, like webinars or trade shows? Zimbalist: We do webinars. We’re strongest in our Home Buyer group, which is Log Home Living, Timber Home Living, Old House Journal. We do webinars on how to buy, how to restore, any number of topics … and they’re very popular with both buyers and sponsors. In terms of virtual shows, we’re really not doing any of those; we’ve been focusing on physical shows. Not to say we never will, but we’re not doing any right now. Skodzinski: Do you publish e-newsletters for any of your brands? If so, what role do they play in driving revenue and/or building/engaging your audience? Zimbalist: All of them. … They’re very important. They serve multiple functions. One is to drive people to our events; we sell a lot of tickets online to our events through our e-newsletters. Secondly, they drive people to our websites, where we sell them subscriptions, and we sell them product. Third, they increase our traffic, so that our run-of-site advertising gets more eyeballs. And fourth, we sponsor [with ad sponsors] the newsletters, so that generates revenue in itself. Skodzinski: What are other significant revenue drivers for AIM? Zimbalist: We have several ancillary businesses, which are part of the groups, but aren’t directly related to traditional publishing models. For example, in our Equine Group, we have US Rider-the best way to describe it is the AAA for those who have horse trailers-so if you break down while hauling your trailer and/or your horse, most AAA towers can’t help you, but we do. So we have fast-growing memberships in that field. Another area for us, which is related, but a little different, is our classified websites. We have two of those that are of any [significant] size right now. One is in the equine area, where we have a listing service for selling your horse. Equine.com has tens of thousands, maybe 50,000 horses listed for sale across the United States on that website. BoatQuest also does that in the marine area, with boats for sale. A third example is in the yoga area, where we have a service called Benefits Plus, which is liability insurance for yoga instructors. We’ve teamed with an insurance company to craft a policy that is perfect for yoga instructors in case someone hurts themselves while they’re taking lessons, and we sell that to yoga instructors. So those are all significant areas of revenue. We’re starting to get seriously into e-commerce as well. Take away selling tickets to our events and subscriptions, and our own books and videos; here I’m talking about primarily third-party sales. Things like selling martial arts supplies, largely from our advertisers, but having a store on our website that sells it, or selling yoga equipment or clothing, that kind of thing. It’s still a relatively small percentage of revenue, probably 1 percent or so, but growing rapidly as we ramp that up. But it’s something that’s going to be important going forward. Skodzinski: Where is AIM investing most heavily? Zimbalist: I think it’s in building out our electronic infrastructure. That’s everything from making sure we have the networks across AIM that can handle the traffic and the volume at the speeds that are needed in order to do the multimedia editing and serving of video and graphics to our customers and internally, to making sure we have the right hardware on desktops to be able to handle the software that’s required. And having the software that can publish to print as well as electronic platforms with relative ease. It’s still not easy, but it’s easier than it was. Skodzinski: What are the company’s biggest challenges? Zimbalist: Probably No. 1 is online ad networks. I think they are a challenge to our ability to generate sufficient advertising revenue online to support the cost of high quality editorial product. We are attacking that on multiple fronts, but it’s a challenge. I think secondly is just the pace of change-things are moving so rapidly-platforms, technologies, software, even markets, and making sure we’re staying up to date on that. … And our strategy is to keep the whole organization up to date-not to have kind of a legacy print division and an electronic division, but to bring the whole company forward into this digital age. So keeping everybody up to date is a challenge. Competitively, I think [the challenges] are the young entrepreneurs in their garages-the future Bill Gates or Steve Jobs-who are dreaming up some great new app or way to use the technology in order to significantly increase the experience that viewers or users have. We’re watching that like a hawk as well as trying to be those guys. But that’s where the significant disruptive innovation typically comes from, and we’re acutely aware of that. Skodzinski: Do you offer digital editions of your publications? Zimbalist: Yes. By January 1, , we’ll have digital editions for all of them. We’ll roll out iPad and Android, fully interactive editions for our significant circ titles and e-editions of the print magazines with enhancements for the others. We’re selectively developing iPhone/iPad apps-for example, our Survival Guide for Backpackers, which contains advice for emergencies in the back country. For Yoga Journal, we launched a Pose Sequencer that helps you develop a program particularly for your circumstances. We’re about to launch a Boat Show Navigator. Our boat shows cover a lot of geography, so users can search for a specific boat and bring up a map pinpointing where it is at the show, how to contact the exhibitor, among others. Skodzinski: Has your role as Chairman and CEO changed in recent years? Zimbalist: As we’ve gotten bigger and broader, our president, Andy Clurman, has taken on a great majority of the day-to-day operations of the company, and I’ve focused on what’s next. Not that Andy doesn’t focus on what’s next or that I don’t deal with the day-to-day, but it’s become more of a general balance. Skodzinski: What is the best business decision you have made during the past year or two? Zimbalist: We purchased a group of equine titles at a time when the market was at a low, so we were able to enter the horse market with about 60 percent market share. Skodzinski: Has your company restructured internally to adapt to a shifting marketplace? Zimbalist: We’ve recently formed an Internet apps group, and we brought inside a lot of heavy app and Web programming-we thought this was an important internal skill. That’s not to say that we don’t still job out some things. We also are forming a marketing services group to provide nontraditional services, from research to point-of-sale to media buying, collateral materials, etc.-a full range of services, to enable us to be our clients’ marketing partner in addition to selling them advertising. Skodzinski: What keeps you awake at night? Zimbalist: The economy. I worry that our world politicians will make stupid decisions, and I hope they won’t. In essence, our greatest assets walk out the door and go home at the end of the day-the people are what makes this company what it is-so I worry about keeping them motivated, rewarded and compensated, and happy. Skodzinski: What helps you sleep? Zimbalist: The same thing, really, that keeps me awake-knowing that we have almost 500 employees who are the best at what they do and that they’re out there creating content and servicing sales every day.